There has been a constant discussion about the two types of sewing machines after they launched in the market. Each of the types of sewing machine i.e. the computerized and also the mechanical once has their respective advantages and disadvantages. To know which one is the correct sewing machine for you, it is important for you to know about the details and also the differences between the computerized and the mechanical sewing machines. The mechanical sewing machine is basically the primary kind of machine which has knobs so that it can function manually. While, the computerized sewing machine has different kinds of stitches which are already built-in them. Moreover, it’s easier to download or buy designs with the help of Internet in the computer. The stitches, in the computerized sewing machines, are more intricate and also, detailed. Most of the best embroidery machines are computerized one in case you are looking for embroidery sewing machine. It is really hard to choose between a mechanical sewing machine and a computerized sewing machine, but it depends completely on your need. The mechanical sewing machine is what you need, if you’re going to sew simple designs and nothing complex or detailed. You don’t need a computerized sewing machine for that. On the other hand, if your idea is to learn more intricate techniques and more designs, you are going to need a computerized sewing machine for that. A mechanical sewing machine is really simple and user-friendly. It is really easy and more comforting if you learn the techniques of using the sewing machine. Many people are not really inclined towards Internet and technology, and they prefer to use a more manual machine rather than a computerized sewing machine. A mechanical sewing machine is really pocket-friendly. It doesn’t cost much and anyone can afford it. A mechanical sewing machine has not many options when it comes to stitches. They are very few in number. It has very less options regarding buttonholes. A mechanical sewing machine is slower compared to a computerized sewing machine. Hence, it might turn out to be unmanageable sometimes. A computerized sewing machine is fast, automatic and time saving. It has multiple features to save time and make the work faster. 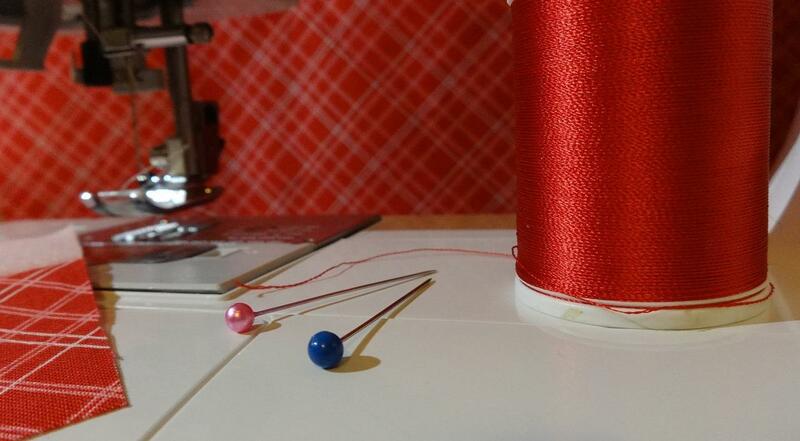 The most important tool in the computerized sewing machine is the automatic needle. There are various other tools available in the machine such as, bobbin winder, tension adjustment, automatic needle threader, buttonholes, automatic needle up and down, LCD screens, built-in-stitches and also, automatic thread cutters. They are really useful. The most advantageous point of using a computerized sewing machine is the details of the designs which are always perfectly done. A computerized sewing machine is really versatile in all the functions, for example, in embroidery works or also, in quilting and others. A computerized sewing machine is costlier and not pocket-friendly. It might become hard for many to afford. It is really hard to use for people who are novice when it comes to technology or computers. The machine is completely based on technology and many of the machines so have no foot pedals which is one of the basic necessities of a sewing machines. Both of the sewing machines, the mechanical and also the computerized one, are really useful. But, if you need to select one, you have to understand your necessity and go for the one you need. The price and affordability is also important to check while purchasing a sewing machine. But, if you can afford a computerized sewing machine, in my opinion, you should go for it. You will get a lot of options related to design and also, it is much easier to use a computerized sewing machine. Checkout & Read also: Marquee Letters: Lights and Sparkle Add the Extra Zing to your Event!